Walk Right Back is a show not to be missed! 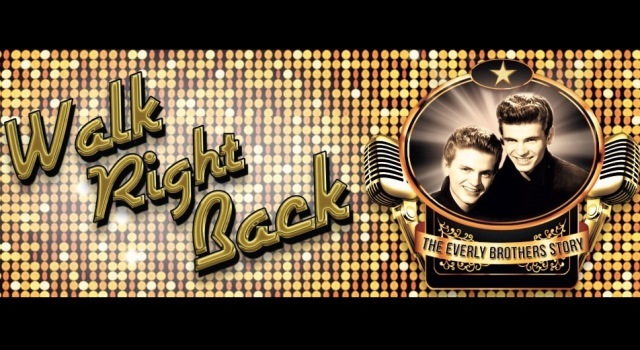 Walk Right Back tells the story of the most successful duo of all time - The Everly Brothers. Featuring hits such as Bye Bye Love, All I Have To Do Is Dream & Cathy’s Clown, this unique concert-based musical entwines the wonderful, sad yet glorious story of The Everly Brothers around those trademark “harmonies from heaven”. Follow the brothers’ rise from humble country beginnings to the biggest act the world had ever seen, then their inevitable split and decade-long feud, to the magnificent reunion that gave them back to the world, and back to each other. Walk Right Back is a show not to be missed!